Sorry for the 2-wk hiatus on my blog, but I've been busy with a lot of things, and more specifically, been getting a lot of projects half-done, but not finished. Today though, is a very specific post. 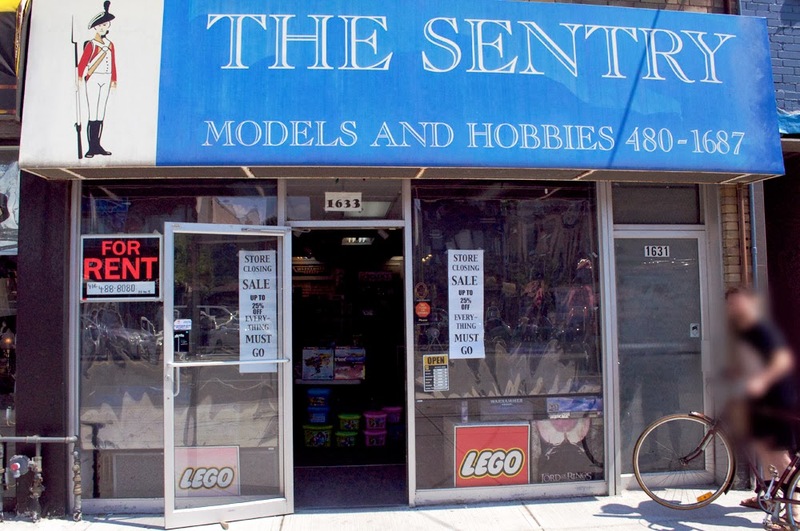 After a run of some 15 years, The Sentry Models and Hobbies is closing. This store quite literally is the reason I am a modeller, wargamer, painter, and probably more general art related stuff. I bought my first models here back in grade 6, have played games here, and have put enough money into product here I don't even want to begin to attempt to tally it. After all this time, alas, Joe (the proprietor) has decided to retire. It is a bitter-sweet thing, as I'm happy he's getting to enjoy retirement, but very sad to see such a mainstay of Bayview disappear. In anticipation of losing this beacon of nerdiness, I basically purchased everything I'd told myself 'not until you finish current projects', including: A Panzerbeobachtungswagen III, 222, and Firefly in 1:35, an entire LRDG patrol and SAS force (FoW), a 25pdr battery, platoons of 17pdrs, armoured cars, nebs, and even an Avro Arrow for my father. I'd lay it all out and take a photo, but it's been carefully stored away, again, until I finish my current projects. To that end, I will try to put up another post soon with a 'work in progress' of my Malifaux crew, especially the Oiran's kimonos. Joe, thank you for everything, and as sad as I am to see you go, I am happy you were there to provide for so long.